I can’t believe my three weeks in Zambia have come and gone. I’m writing this post from Chicago, waiting to return to my hometown of Tulsa and replaying everything in my mind. It’s bringing up a cadre of emotions. First, anger. It’s 2018 and this ailment shouldn’t be affecting anyone, let along the numbers it does in Zambia. Second, awe at the welcoming and brave nature of the women who suffer from this injury. And lastly, surprise. I knew about fistula before taking this trip, but traveling to the remote areas on the poor road networks, interviewing the women about their struggles and interviewing the doctors really impacted me and helped bring the condition to life. We started my final week of the trip by meeting with survivors in Luapula Province at a remote health center. They talked about the stigmatization and difficulty in getting help. I also met with Community Health Volunteer Donald Kafula, who says child marriage plays a role in the injury. It wasn’t something I heard at first, but I heard that repeated more and more often as I reported from inner, rural Luapula. The girls’ bodies are not mature enough to carry a baby because they’re too small. So he works to try to get that thinking to change, to prevent child marriage from happening in the first place. Next, I interviewed Bwalya, Fistula Foundation’s Zambia program manager for a good hour. She’s so passionate about the work the foundation is doing and about her role. Look for a story about her soon. The next day, we stopped at various rural health centers and I was introduced to Community Health Volunteers. 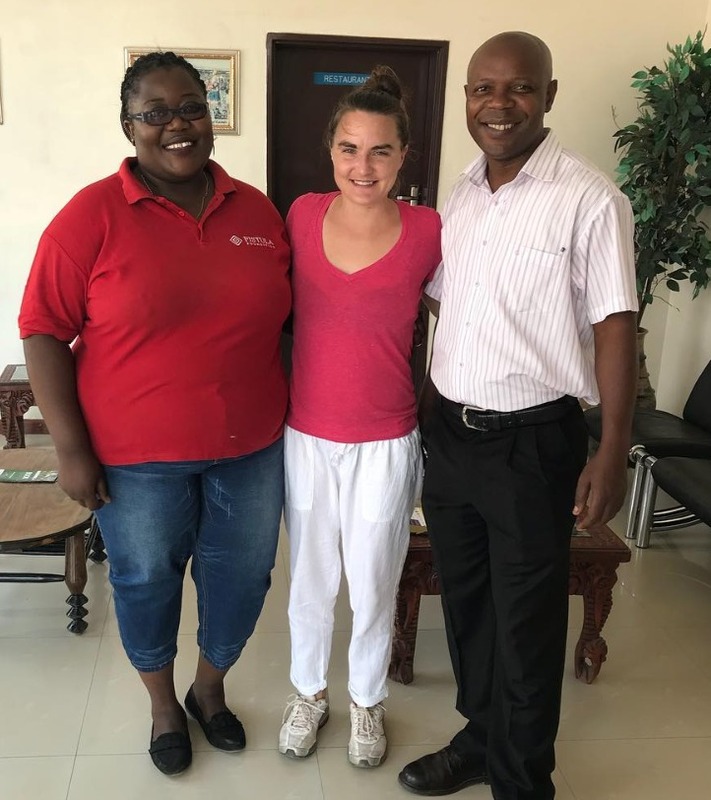 I met Jacqueline Mwaka who helped find a patient named Emerance, who had surgery at Mansa General Hospital in 2018. Seeing the patient and CHV communicate was really sweet. I met Emelda Ngosa, who had fistula for 25 years before getting treatment in May. She heard about the program through the radio, a positive outreach mechanism that should continue. The week ended with me seeing surgery in practice. I have to admit: I’ve never seen surgery up close and even the thought of it makes me a tad queasy, so when I was in the theater with the doctors I kept telling myself to keep it together! 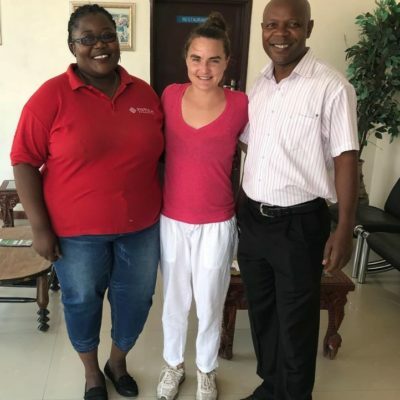 Despite my reservations, it was great to see what they were doing up close as a way to fully connect all aspects of fistula surgery – from outreach, referral, intake, surgery and post-op life. I’m grateful for the team at the Foundation who made this journey possible. It’s been a wonderful, life-changing experience that I won’t soon forget.